I think I teach mainly also so I remain a student. This weekend, I returned to the Kukkutasana after a gap of a year or so. It is a "heavy" pose, so even yoga-mad persons like me resist it simply because it is not as ego-massaging as the other "lighter" poses. But it seems this year on my learning is all about ego-crushing, so today I learnt a lot more about the kukkutasana, and its entry, which is going to make it part of my daily practice. 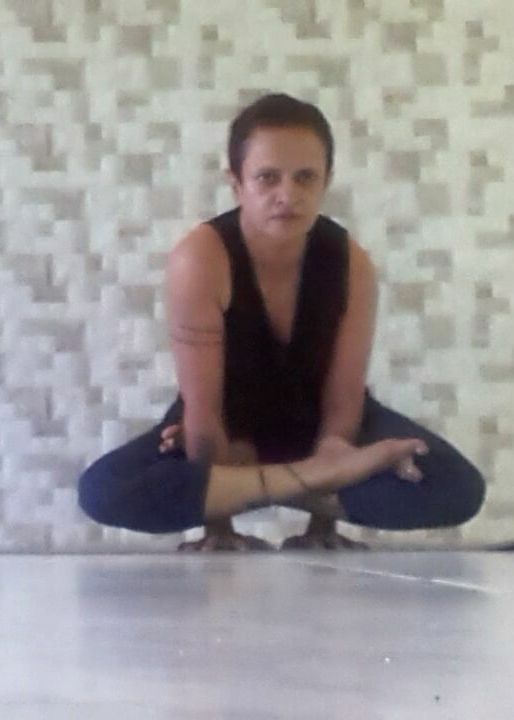 You enter the pose in garbasana /or garba pindasana -- the embryo pose with legs locked in lotus, and arms through your legs. Then roll over in a rocking motion. The last few rolls should bring you up on the mat, till you lift your hips clear off the mat and hold. Once you go up, your calves and things should lift "grasp" the arms, to lift you even higher. Just now, the image above was not entered that way. But will post one soon, with a higher lift, to explain it in detail.